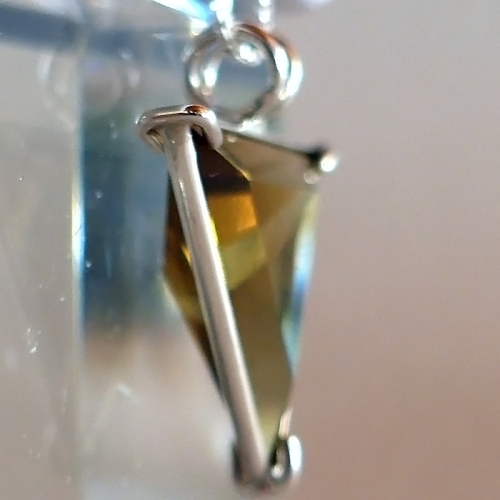 This beautiful Angelic Star citrine quartz crystal pendant is of exceptional quality, both in the cut of the stone and in the simple silver band setting which allows the stone to breath and function at its highest vibration. This latest batch as you can see has a lovely rich golden tone to it. This pendant comes with a simple sterling silver chain which will sit upon the thymus, between the throat heart chakra, where it will be of most beneficial resonance. This piece is a lovely pale golden stone, so pale in color as to be quite transparent and difficult to photograph. Citrine is a form of quartz characterized by a yellow color, ranging from white to deep copper. Citrine's color is a result of iron impurities occurring naturally within the crystal. Citrine typically is formed as an amethyst which becomes heated to the point where the iron held within the crystal undergoes a further stage of oxidation. Note: weight above is shipping weight. Actual weight averages .30 oz. Each stone is unique & may vary somewhat in size & color. 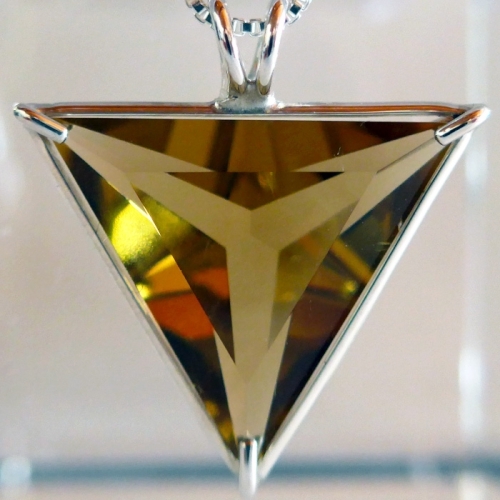 Each pendant is guaranteed to be beautiful and to meet with your complete satisfaction!